It’s that time of the year again! We will head off to the the other side of the world on the 3rd and 4th of March for the second edition of Dekmantel Festival São Paulo. 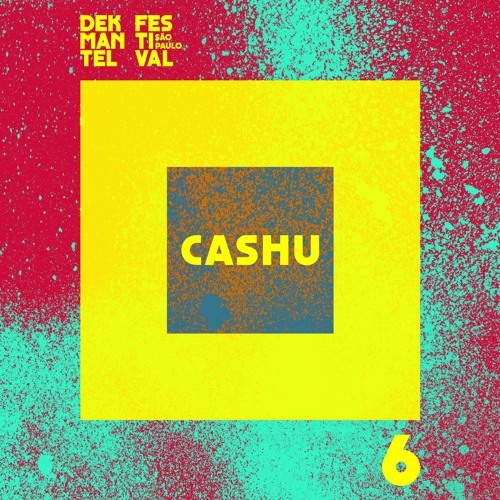 As a warm-up, we continue our mini podcast series and kick off with Brazil’s local hero and best kept secret: Cashu. Whilst having her background in architecture, Cashu started off her career within music by organizing street parties in collaboration with the VOODOOHOP collective in downtown São Paulo. Not much later, the Mamba Negra parties arized as a result of these parties and Cashu finds herself being a resident nowadays too. Next to that, Cashu is also a regular at the CAPSLOCK events and is an active figure within street and social movements like Ravetalização and Parque Augusta. Music-wise it's fair to say that Cashu is one of Brazil's most exciting DJ's at the moment. A blend of techno, house and Afro-Brazilian mixed with acid and a heavily mysterious vibe is what defines her. Proof is this brilliant mix for us where she illustrates exactly that over the cours of one hour. Hear it for yourself, you will not be disappointed - we promise. ID on this magical track?